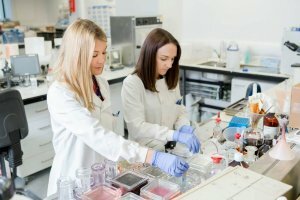 The Institute of Biomedical Science (IBMS) is the leading professional body for scientists, support staff and students in the field of biomedical science, representing over 20,000 members in 30 different countries. For over 100 years, IBMS have been dedicated to the promotion, development and delivery of excellence in biomedical science within all aspects of healthcare and providing the highest standards of service to patients and the public. IBMS needed to refresh their three-year corporate strategy, but were concerned about a lack of member engagement with the strategy process. Previously, few members of the Council or IBMS staff were involved with shaping the strategy document, seeing it as a necessity but perhaps undervaluing its importance. There was a need to create a shared vision and direction for the organisation. IBMS were therefore in need of external facilitation to engage more members in the strategy formation process and ensure that the voices of all members were represented. Jo also completed an outcomes assessment to identify where the organisation was delivering and where there was room for improvement. All of this was used to put together and write a new three-year strategic plan that ensured the voices of all members were heard and that ownership for the document could be taken across the organisation. A year into their new strategy, IBMS chief executive Jill Rodney reported that the organisation is benefiting from improved member engagement and an added vibrancy in their services. IBMS were particularly impressed by the match between the consultant and the organisational requirements, and this consequently led to IBMS requesting a second piece of work with Eastside Primetimers.